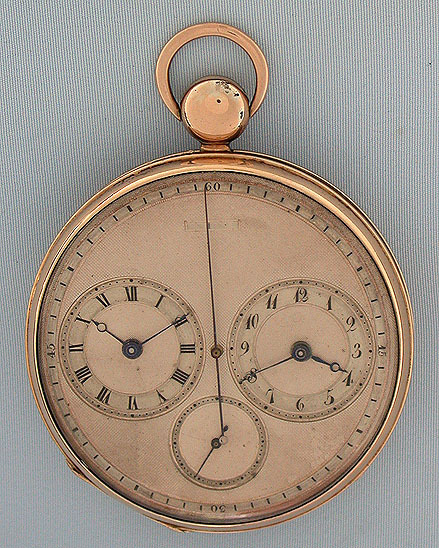 Fine and large Breguet style early two train independent jump center seconds chronograph and Captain's Watch circa 1810. Breguet style silver engine turned dial two time chapter rings, subsidiary running seconds, and blued steel Breguet hands. 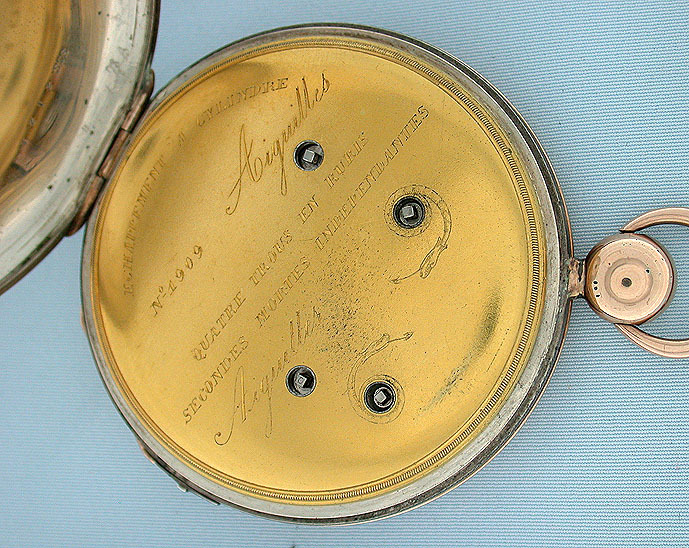 Silver engine turned case with gold overlay to the bezels, pendant and bow. 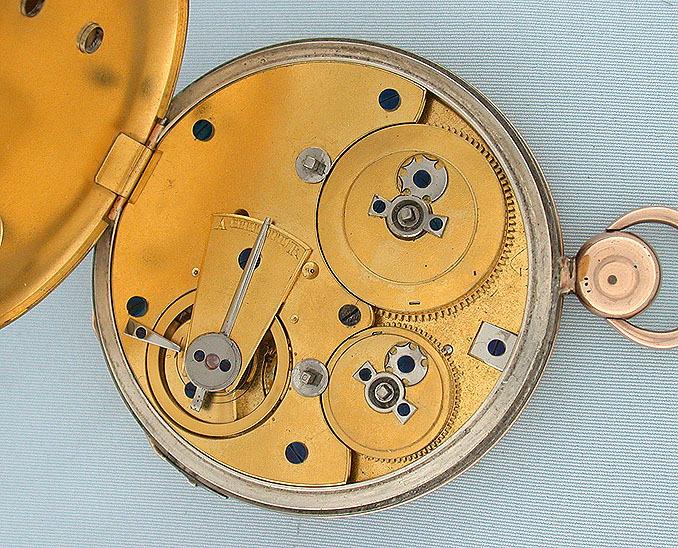 Gilt movement with cylinder escapement. The left time dial and the subsidiary running seconds run constantly. When the slide in the band is moved the independent jumping center sweep seconds and the right time dial are activated. 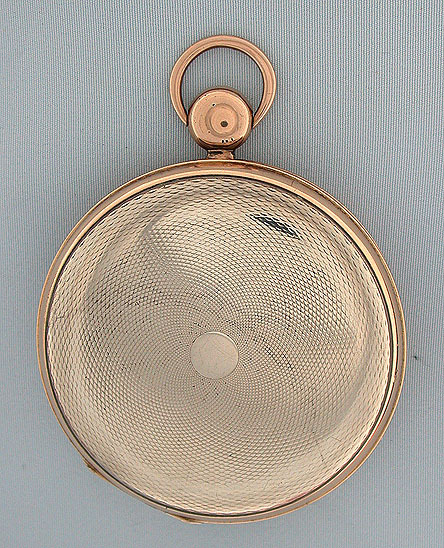 This watch can be used as an hour and minute recording chronograph or the time dials can be set to two different time zones.